Hey everyone. 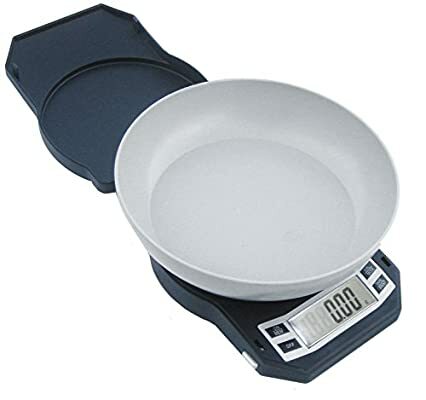 I would like to know which scale you use, if you mix by weight. Would you make the same choice if you were in the market with your current knowledge? Any deals would work also. Yep, the way to go! Yea when I search that is the same thing I come up with. Everyone cannot be using that one scale though. I want to make this scale choice once. I want to be happy with it and not wish I had done more research. The more input the better. Then I can make a voice based on things others mentioned that fits me. I’m sure this post will help others in the future too. If anyone can weigh in with pros and cons of either or recommend another scale entirely, I’m interested too! There was only con bothering me about the first one, but JoJo posted this solution! I have two of those and they work perfectly. Had one for 4 months and the other for 3 months. No problems whatsever. I use one or the other every other day. Still using the original cheapie batteries that came with them. 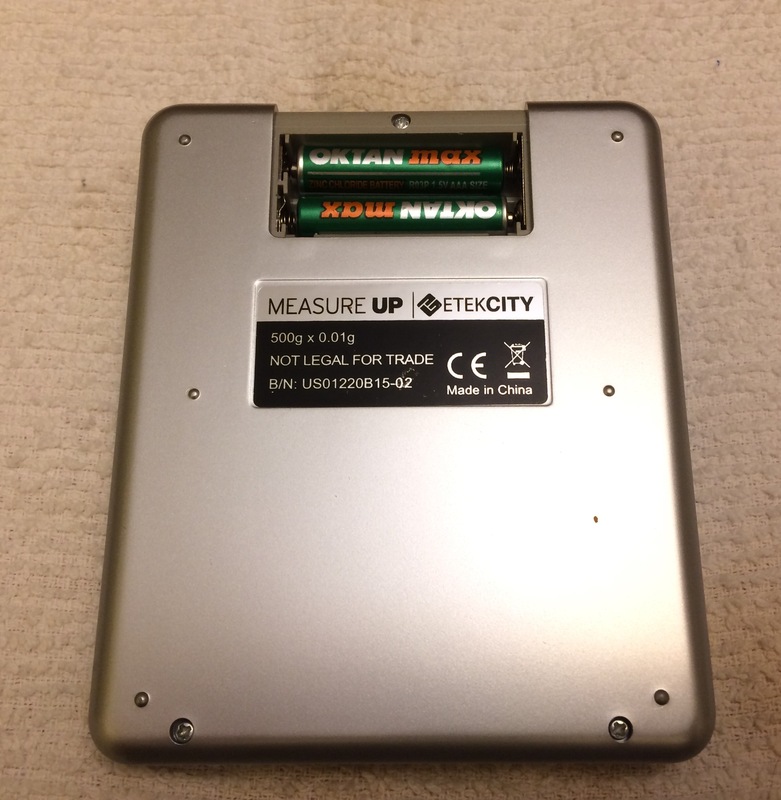 I like my Etekcity scale. I did get new, rechargeable batteries to put in it. 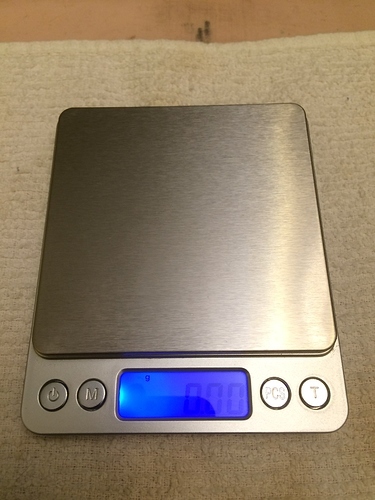 The American Weigh LB 501 scale also has really great reviews here and it can be plugged in to a power outlet if you’re into that kinda thing. It can be used with just batteries, too. If you have $30 to spend on a scale, go with the AWS one. If not, the Etekcity is only about $18 and works like a charm. and LOVE it for two reasons. The display has never timed out and turned off on me. I’m with @Alisa I also have the LB 501, I always use the AC option. When its plugged in in never times out. I also like the included tray, just in case of a spill. I am using the LB 501 and I LOVE IT! AC option OR batteries and no auto shutdown so far but I think you have a 2 minutes timer while using batteries. It comes with two 200g weight to calibrate your scale. Feels solid and will last for awhile without a doubt. If using batteries the LB 501 will time out. If plug in, the time out feature is automatically shut off/non functionable? Yes. If you run it on batteries without it plugged into AC, it will time out after 2-5 minutes, to save on battery life. If you plug it into AC, it won’t shut off. I guess these two scales are what most are using. I was really expecting a wide variety. I see it boils down to getting what is working for other people. I did see that someone had mentioned some from fasttech. The consensus seems to be get the LB 501 if you can spare the cash, but the Etekcity is also a good option if you want to spend less cash, and don’t need, or want the AC option. THANK YOU all for the input. I have the Etekcity same as JoJo and Jimk and it works great, and can be set to not time out. I’ve had mine for 4 months and still using original batteries. You can order online from Wal Mart and pick up at store no shipping. I ordered the Etekcity a couple of days ago, it will be here tomorrow. VAPEMAIL! For some reason, probably because these are not sold by Wal-Mart, but for a outside vendor, these cannot be picked up in any store within 50 miles of my zip code. 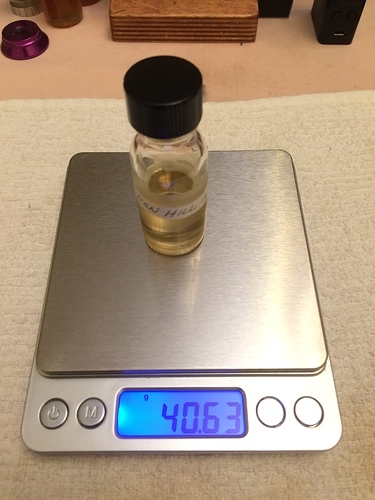 I have the Ameriweigh version of the Etek city, one 500/0.01g for mixing and three 2kg/0.1g units for a pretty bad coffee habit. The oldest is…geez, I think almost 10 years old. I don’t recall ever changing the batteries, but the Ameriweighs have served me well. I do not have the big LB501. They are all the same for factor. I made my choice, just went with the LB 501. My reason was a simple one, the Etekcity does not come with calibration weights. That means you would at some point need to purchase them. That brings the price very close to that of the LB 501, which also comes with a AC cord. I mixed my first batches and it is much simpler as stated by everyone else. That easy clean-up statement is so true.